I submitted my PhD in the School of Botany at the University of Melbourne in December 2013, then worked as a research fellow in the same place. I then moved to the private sector, working in environmental consulting as a botanist. Now, I am working in the public sector as a senior researcher at the Arthur Rylah Institute of Environmental Research (ARI). In my research I have worked closely with my PhD supervisors, Peter Vesk and David Duncan, as well as Libby Rumpff on projects including riparian vegetation management, analysis of species survey list data, dense woody vegetation, woodland vegetation dynamics, and a few others. My new position at ARI has been a return to riparian vegetation monitoring and I now work on a series of vegetation monitoring programs focused on rivers and wetlands across Victoria. I guess you could say my interests lie in a lot of places and I’m fortunate enough to have been able to do a bunch of work with other researchers in a wide range of areas. 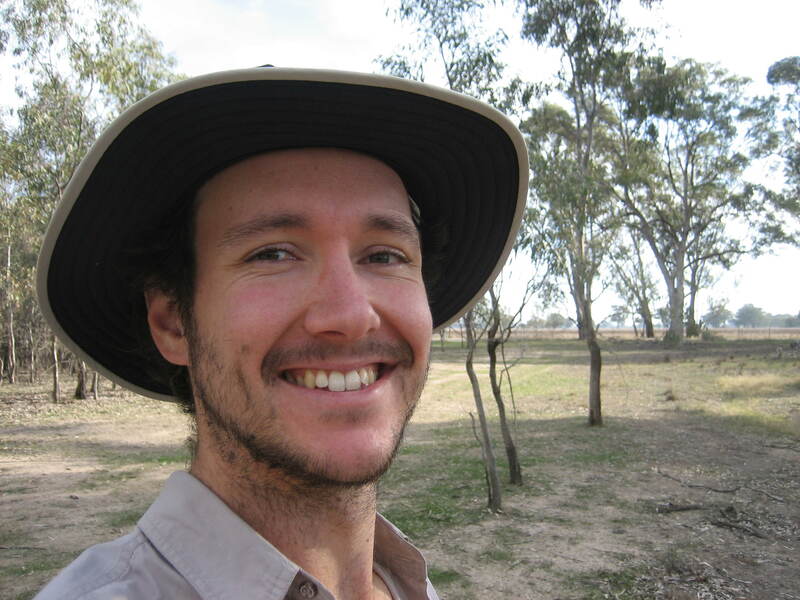 I am principally a field ecologist and love getting out for field studies, which I have done all over Victoria. I was also (for better or worse) in a lab with a strong modelling focus so I am constantly improving my skills in this area. I am very happy for you to use my photos. Perhaps email me (see About me) and let me know the ones you want and I can send the files. It is very generous of you to let us use your photos and hopefully advance our goal of protecting native habitat. The two photos that would be great are the ones of the full height yellow box tree, and the close up of its flowers. They are under recent posts on your Eucalyptus melliodora (Yellow Box) link. I will be happy to credit you on our website if they get posted there! Good luck with all your work. Kind regards, Victoria Graham Nature Conservation Trust of NSW. Yes, I am happy for you to use them. Would you like to just take the files from the website or would you like me to send them to you. If so, please give me an email address I can send them to. I hope they serve you well!